What is a Shed Pier Foundation? A shed pier foundation is not strictly a permanent foundation it comprises of a series of concrete blocks laid directly on the ground (occasionally a shallow hole is dug and filled with crushed stone), the tops the blocks are then levelled to support the main floor beams of the shed. They are each cheaper than laying a concrete slab as a lot less concrete is required. They are simple to build so a specialist contractor is not required. They offer environmental benefits as much less concrete is needed and you will not be adding any foreign materials to the soil on which you are building. There is very little excavation that is required to begin building. There is very little spoil to dispose of from the build site. It can also save you a good deal of time as you can immediately begin to build once you have your materials gathered. They can increase longevity of your shed by lifting the shed floor off the ground so that moisture from the ground cannot rise and damage the timber structure. All the above add up to mean that using a shed pier foundation can save you both time and money. These foundations are useful for large and heavy sheds. By forming a series of pads to support the timber foundation beams they provide support while requiring less materials. Foundations such as these are also extremely useful if you have to build on a sloping site. Each of the separate parts can be easily adjusted through the use of interlocking parts and screw thread. 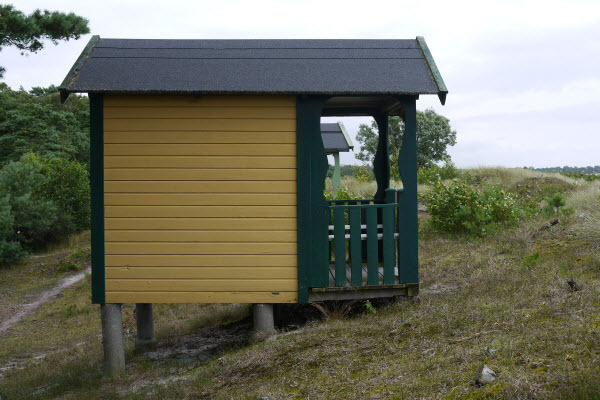 Also if the need arises to move your shed then the foundations can be taken up and easily moved. You must first do a bit of excavation to level up the ground at the location of each pier. The exact location of the piers is dependant on the size and layout of the floor beams. If the ground around the shed is very wet it will pay to dig the hole a few inches deep and fill with crushed rock. If you are building on either rocky soil or gravel then this is not necessary. The simplest form of pier foundation uses standard concrete building blocks. The concrete blocks are laid one on top another and bonded together with mortar so that they cannot shift. To get the tops of the blocks level shims made up of sections of paving slab or pressure treated timber can be used for the finer adjustment. The timber floor joists are then supported on this grid of concrete blocks. The simple concrete block has been developed by some manufacturers to form a system which smooths the process of foundation installation. In the United States there is the Dek-Blok brand of pier blocks. These are a roughly pyramid shaped block with a flattened top that is bisected by two channels. These channels are perfect for accepting a standard flooring timber so that the timber sits level. 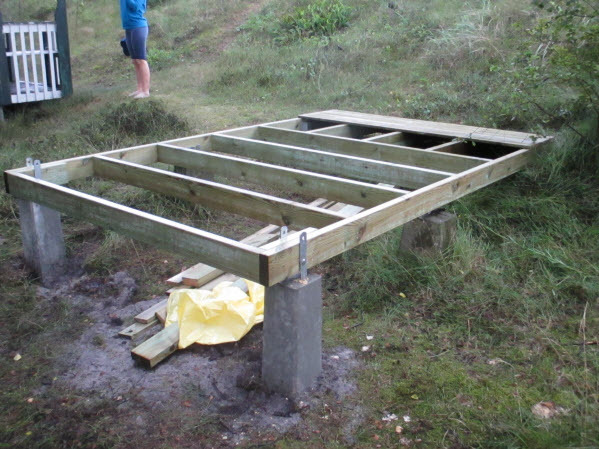 They also have a square recess in the top that can accept a 4"x4" post so that if the ground slopes very steeply a timber post can be used cut to length to support the floor beams. Another type of pier block system common in the UK is made by Swift Foundations. Their system comprises three main components a base stone that is capped by a top stone with a screw adjusting bracket. Foundation height is adjusted coarsely by stacking the interlocking base stones, the top stone and bracket allow for fine adjustment of level to your floor timber. Each of these foundation systems has benefits in that they are easier to assemble than just using the simple concrete block. They are more expensive than a concrete block but this is more than made up for in time and labour savings. The shed pier foundation is sturdy, ecologically sound, a time saver and a money saver as well. It will help to ensure the stability of your shed for years to come.